How to calculate the value of your property: The most important tips, so that you achieve the best possible price for home or apartment when selling real estate. Feasibility analysis, realization and sales from a single source: Engel & Völkers Switzerland offers high-performance project management service in the area of new construction. Villas, condominiums or land for sale with Engel & Völkers Switzerland. We keep an eye on real estate market developments for you in 2019. The Alpine regions of Switzerland house the most attractive ski areas in Europe. From Valais to Bern, Uri to Canton of Graubünden, thousands of people regularly spend their holidays in attractive holiday homes or apartments in order to make full use of the winter sports season. 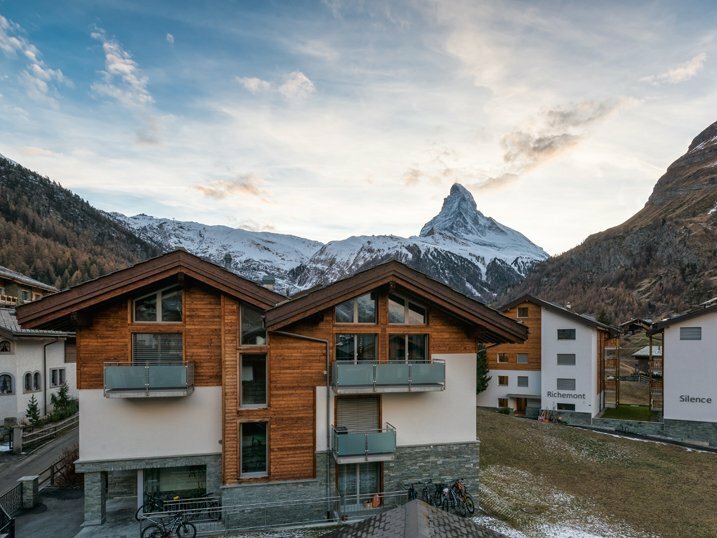 The fact that the popularity of condominiums in Switzerland has risen sharply in recent years is mainly explained by low interest rates and the growing population. Since condominiums are usually much cheaper than single-family homes, more lower-income candidates thus get the opportunity to acquire residential property. Things to consider when you plan on buying condominiums in Switzerland - find all you need to know in this article by your real estate consultant Engel & Völkers Switzerland. The issue of inheritance is unpleasant for many people, which is why they occasionally neglect the estate planning or do not consider it at all. A timely and comprehensive planning of the estate by the testator of the family and relatives can save a lot of effort. In particular, if the inheritance of real estate or larger assets is to be clarified, a clearly defined estate distribution creates clarity and proactively prevents future conflict risks. Engel & Völkers Switzerland gives you an overview of Swiss inheritance laws in this article. Find out which aspects you should take into account in estate planning so that your inheritance can be shared in your interest. You want a comfortable second home, that allows you to enjoy your free time in an attractive environment and get away from everyday life on a regular basis? The alpine region in Central Europe with its topographic-climatic diversity and the different cultural characteristics appeals to you?